This year’s AGM – our last in the Centre Block – took place on June 4th. Our theme was the process of reconciliation with Canada’s first nations and how former parliamentarians can contribute. We had two terrific speakers on the subject. Indigenous Services Minister Jane Philpott spoke to the government’s broad agenda, outlining the five priorities in her portfolio: improving the health outcomes of indigenous Canadians; quality education; keeping children and families together; building reliable infrastructure; and creating a new fiscal relationship that ends the paternalism of the past. 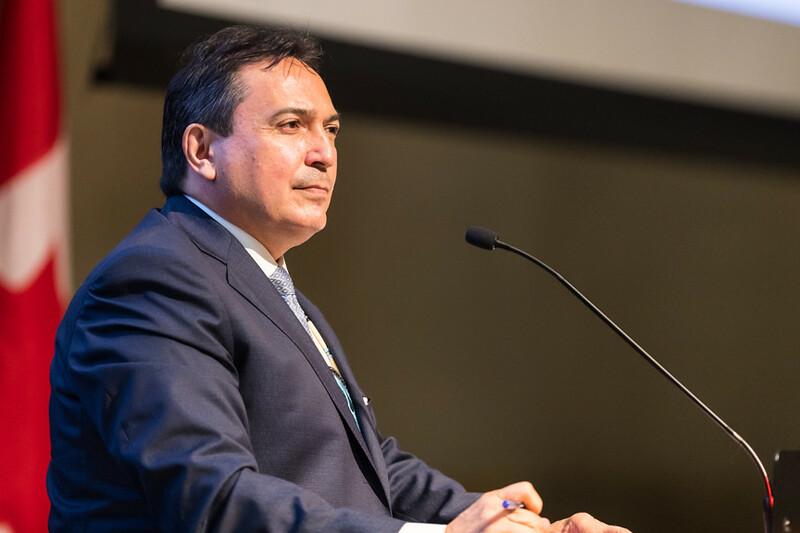 In a keynote address that was dynamic, profound, and inspirational, our luncheon speaker, National Chief Perry Bellegarde, spoke with passion and eloquence on what it is about the history of the relationship with indigenous people that has to be rewritten, for reconciliation to truly take place, and what all of us can do to make that happen. The AGM was also the occasion to honour 39 parliamentarians who passed away in the past year and to present our colleague, the Honourable Don Boudria with the Association’s 2018 Distinguished Service Award. For a selection of photos from this year’s AGM, please see below.